Happy Wednesday to all my fantastic readers! Is anyone else starting to freak out that the end of the year is like…right around the corner? I am! There is so much to do and my husband is promising me that we will be in the new place by the end of 2017 but lemme just say…I’m skeptical. LOL! 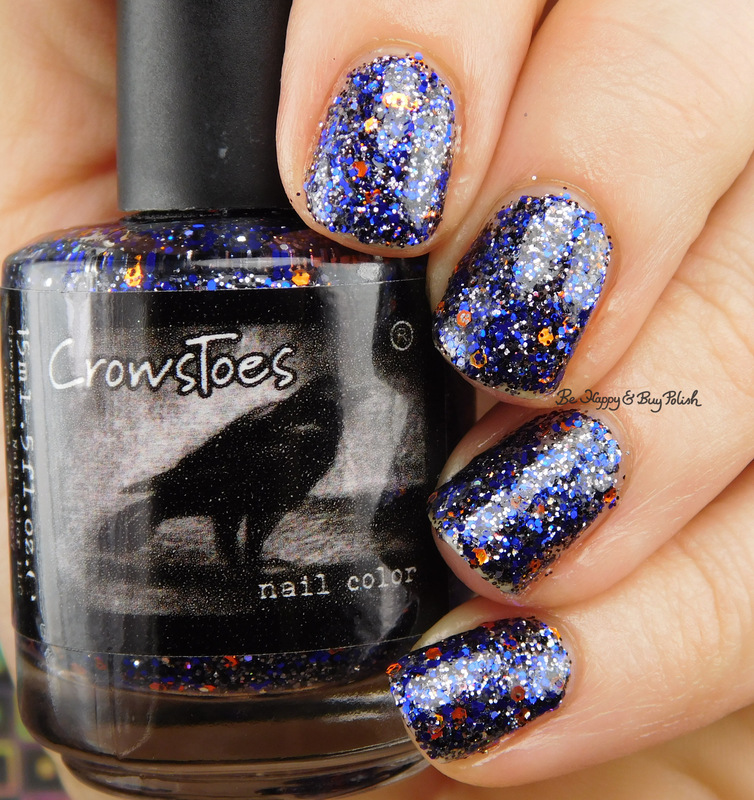 At any rate, I have another fantastic polish to show you today by CrowsToes Nail Color for the December Polish Pickup Pack. This will be available this coming weekend (December 1-4) only! 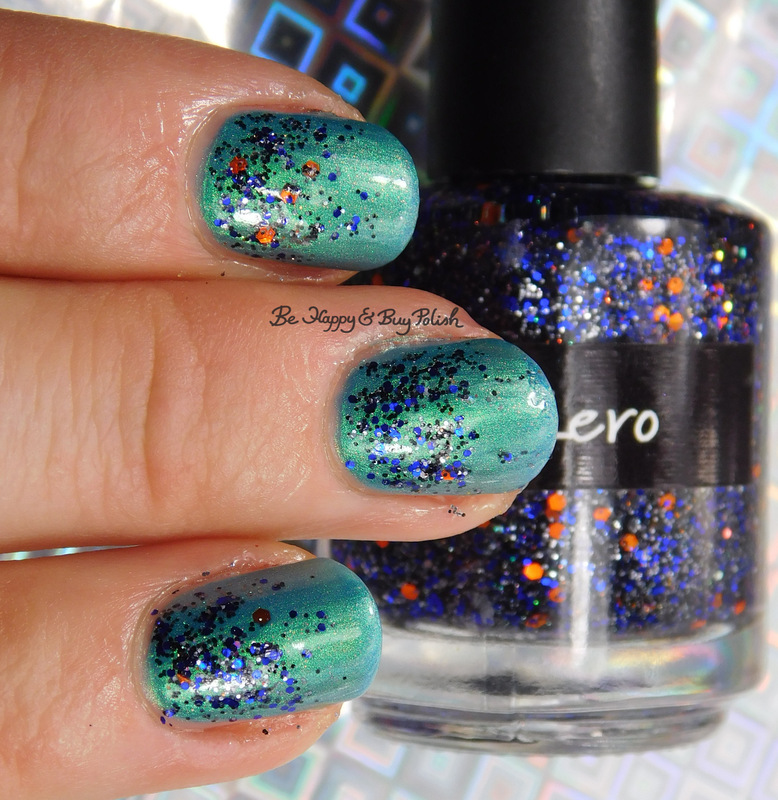 Zero is a clear based glitter bomb polish with glitters of blue, purple, silver, orange, black. It is based on Zero from Nightmare Before Christmas. The glitters apply well, but you are going to need a thick top coat or two coats of top coat as it dries textured. I’ve used 2 coats plus 1 coat sponged plus matte top coat then shiny top coat. I know that seems a bit finicky, but it’s my process to apply glitter bombs like this. I also decided to try it as a topper. I’ve used just a bit as a gradient over CrowsToes Nail Color I Need a Tinselectomy. Madame Crow is seriously the best at glitter bombs. The color combinations she comes up with are art. It sounds dumb to say it like that but lemme tell you, it’s hard work coming up with color combinations that are eye-catching but flow together smoothly. Okay, details! Like I said, this is available for $12 from Polish Pickup Pack this weekend, December 1-4. I don’t know if it will ship in time for Christmas, just to warn you, but you can think of it as maybe a New Year’s Day present? 😛 P.S. If you’d like to see all of the polishes available for this month, go check out Alicia’s blog, DeLishious Nails. The glitter looks pretty nice.